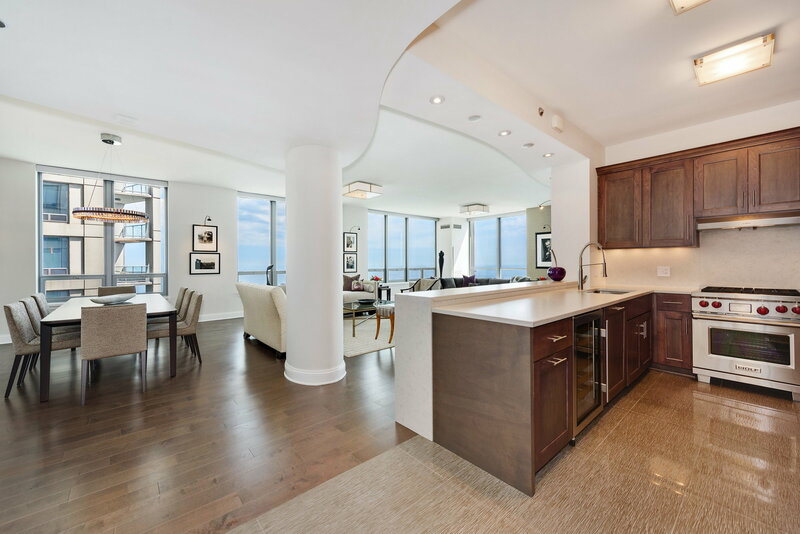 Residence 3611 is unique among the luxury condominiums in Streeterville's premier 600 N Lake Shore Drive, affording more enjoyment from an enlarged living and dining room that now spans 35-feet. Ideally situated on the NE corner, the 2,124/SF home has ever-changing day-to-night vistas and postcard views of Navy Pier. The two private bedroom suites have spa baths featuring double vanities, walk-in showers, and soaking tubs. There is also a powder room, a laundry room, and an east-facing balcony. One parking space is included and a second one is available to purchase. Tastefully redesigned and meticulously appointed, this beautiful residence has been extensively upgraded. Aesthetically pleasing with designer finishes and enhanced with modern conveniences including an installed Sonos system and Lutron light filtering shades. One parking space is included, and an additional space is available. 600 N Lake Shore Drive is Streeterville’s premier luxury building offering white glove service and first class amenities.